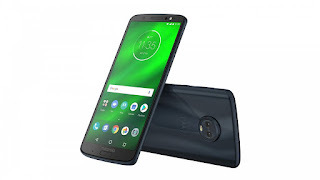 Motorola has announced its new smartphone Moto G6 a while back,although they are yet to be launched in India.Its new phone Moto G6 looks like a solid phone on paper.And in some new leaked images,we have now what seems to be an updated variant of the Moto G6 plus.The company revealed the launch date and other details via a dedicated page on Amazon India. The Moto G6 will be launching exclusively on Amazon India on June 4. The Moto G6 will be the next iteration of the popular 'G' series which has been immensely successful for the company. The Moto G6 was launched in Brazil last month and will be launched in India with a price tag that will fit it in the mid-range segment. Moto G6 plus:More RAM and improved processor? The new leaked pictures show a Moto G6 plus having 6 GB of RAM and the processor as "sdm660",which sparked the rumors that Motorola might be bringing an updated variant of the G6 plus.It's noteworthy that the original G6 Plus launched with 4 GB of RAM and a lower-placed Snapdragon 630 processor. There are a list of phones that offer premium construction in the budget segment.The G6 Plus,is one the top rated phone on that list.It opts for a glass meets metal design and feels premium in its own right,albeit the glass body adds the risk of accidental damage.Moto G6 Plus has 5.9-inch IPS LCD panel with FHD+ resolution(2160*1080).Its aspect ratio is 18:9. The company has announced Moto G6 Plus will runs on Snapdragon 630 SoC with 4 GB of RAM on board,and 64 GB of internal storage.The company has given option to expand it via a MicroSD card.Moto G6 plus has Dual 12 MP(f/1.7)+5 MP (f/2.2) camera setup at the back.As we all know that,Moto G5 is one of the best camera phone in the budget segment and we can surely say that Moto G6 plus should be great performer too.At the front,the moto G6 Plus features an 8 MP,(f/2.2) camera with LED flash. 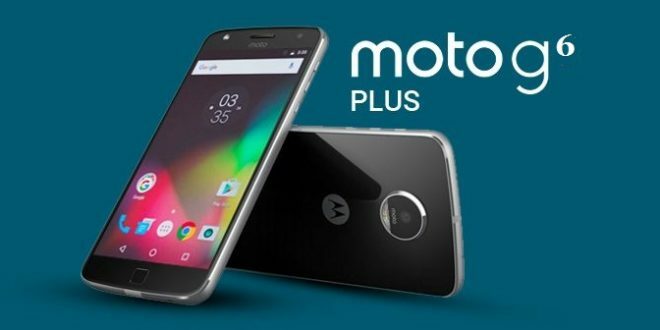 The Moto G6 plus supports Dual-SIM phone and runs on Oreo 8.0 out of the box and is expected to receive the Android P.
The 3200 mAh battery will power the phone and make it long-lasting. The device comes with a USB Type-C port along with support for NFC and Bluetooth 5.0. The expected launch price of this phone is Rs.25,000.It overall looks a good package of phone. 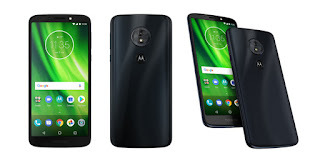 Motorola is also supposed to be having a launch event in Brazil on June 6,and we are somewhat hopeful that along with debuting the Moto Z3 Play,the company will also share some info about the higher RAM and storage model of the Moto G6 plus. The moto G6 play comes with powerful battery backup of 4000 mAh packed inside of it.The device is powered Qualcomm Snapdragon 427 chipset.And it could be coupled either 2 GB or 3 GB of RAM.The phone will be available with 32-gb of internal storage which can be expanded via a SD card. The phone comes with 5.70-inch of display with a resolution of 720x1440 pixels.The phone has 13-megapixel rear and 8-megapixel camera.It runs on Android 8.0 Oreo out of the box with 1.4GHz octa-core processor.